"The friars should have no hesitation about telling one another what they need, so that they can provide for one another. They are bound to love and care for one another as brothers, according to the means God gives them, just as a mother loves and cares for her son." In the Admonitions, XXV we read: "Blessed that friar who loves his brother as much when he is sick and can be of no use to him as when he is well and can be of us to him. Peace and joy to you all! 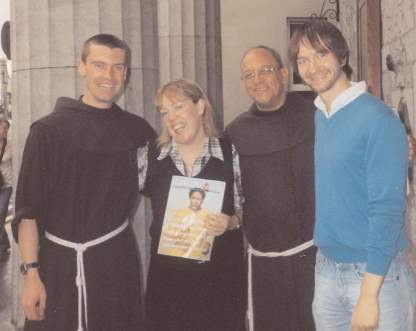 I haven't been in touch for a number of weeks now and during my time in the U.S.A and Canada our two novices, Jack O'Riordan and David Collins made 1st Profession in the Franciscan Friary, Ennis, Co Clare. 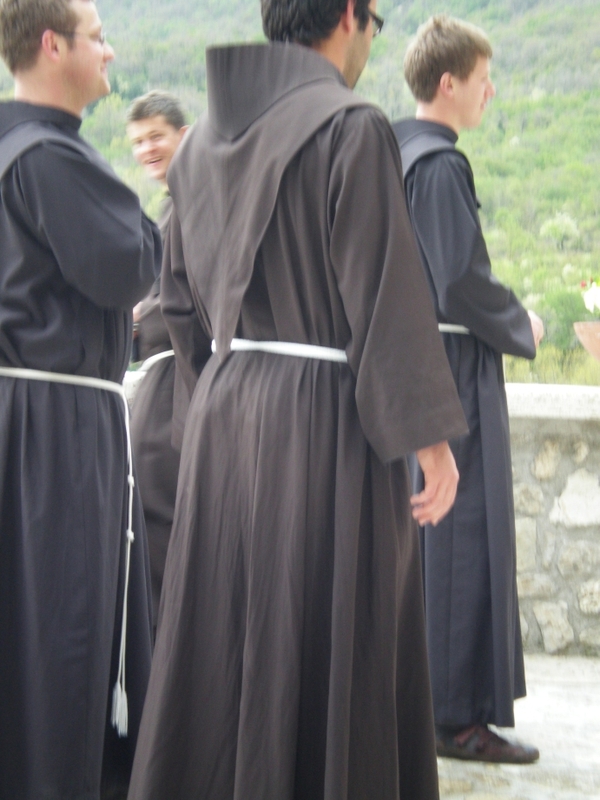 This was a very special day for all of us in the Irish Franciscan Province, the 1st Profession of two new Brothers. Just a week before that two other men, one from Co Cavan and one from Co Cork joined our postulancy programme (their 1st year of formation in the Franciscan way of life). Needless to say there is always great joy among the brothers when men come to experience our way of life. Francis often went off to lonely, quiet places to pray. One such place was the Carceri. 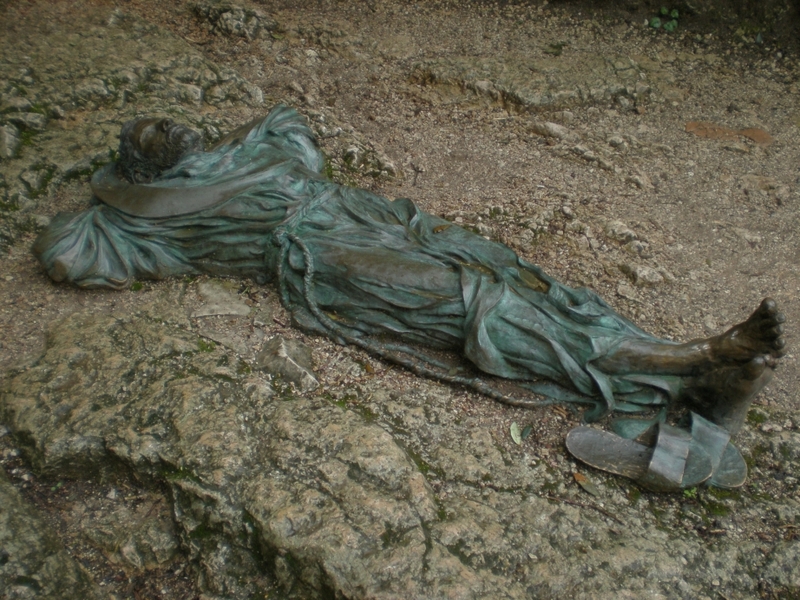 I quite liked this piece of sculpture depicting Francis resting in the Lord and arranged, together with other pieces, around the grounds of the Carceri. Experience that joy and happiness! How do I feel when I hear “Followe Me”?